Fall is a magnificent time to visit the Finger Lakes region. People come here from all over the world for school and work. The warmth of summer lingers on while mixing with crisp breezes in the morning and evenings. Visitors from out of town staying in area Finger Lakes vacation rentals enjoy magnificent fall scenery. Seemingly overnight, the solid green leaves of trees turn into various shades of golden yellow and crimson red. September is the perfect time to go out and explore the local Finger Lakes area cultural scene. People are pretty friendly and visitors are welcome to join in all the fun. Newfield, New York is truly representative of small town America. It’s a place that is easily overshadowed by flashier nearby cities with bigger populations. The town’s main claim to fame is being the home of the Newfield Bridge. The rare covered bridge is an historic landmark that sits over Cayuga Creek. Each September the town comes out to celebrate Newfield Old Home Days, the town’s biggest event of the year. A parade kicks off the two-day festivities. There’s plenty of food, entertainment and even a 5K run. The festival raises money for local non-profit organizations. This charming winery is nestled next to Cayuga Lake in Romulus, New York. The winery produces a number of award winning wines that are available for purchase at their country store. There’s a wine tasting room that let’s you sample before making a selection. In addition to growing grapes for wine, the farm has a cherry orchard. Come and celebrate Grape Day by indulging in wine tasting and sampling delicious homemade treats made from grapes like cookies, cheesecake and yummy pies. Fingerlakes Luxury Rentals has several luxury vacation rentals within easy driving distance of this and many other Finger Lakes region happenings. The Montezuma Winery in Seneca Falls, New York invites everyone to come over and celebrate harvest season in true Finger Lakes fashion. The Harvest Hoedown is simply old-fashioned country fun. Guests can sample wine while listening to some authentic country fiddling by live bands. A wide variety of comfort food is on hand including lots of lip-smacking barbecue chicken and pork. Visitors also get to sample real honey, maple syrup and other seasonal baked goods. Kids join in on the fun too by enjoying a petting zoo, games and craft activities. Handmade arts and crafts are on display by local vendors. The Fall Creek Neighborhood in Ithaca, New York is celebrating its 7th annual Porchfest Music Festival. This unique event features over 100 bands performing for free on the porches of area homes. Musical styles represented are classical, pop, country, roots rock, reggae, jazz, punk rock, world music and everything in between. Maps are provided to help visitors walk or bike to each porch performance. When planing your trip to the Finger Lakes region, make sure to contact Fingerlakes Luxury Rentals to reserve your Finger Lakes vacation rental. Skaneateles is known for being a beautiful gateway to the Finger Lakes. The glimmering centerpiece of this bucolic town is Skaneateles Lake. The lake stretches out for miles and also has the distinction of being the cleanest of the Finger Lakes. The water is so pure that municipalities don’t even bother to filter it before use. Of course, most people visiting the area are more interested in the lake for beauty and recreation. Since the days when the Iroquois people lived here the lake has always been a focal point. Skaneateles (pronounced: skinny atlas) means “long lake” in the Iroquoian language. Over the years Skaneateles developed a reputation as an excellent vacation destination. Some families fell in love with the town and built stately homes that still dot the shores of the lake to this day. The town does not have a lot of modern development that would interfere with the pristine beauty of the community. Townspeople prefer maintaining the authentic greenery and lake views for both locals and visitors to enjoy. Everyone that comes to this wonderful place for summer vacation quickly realizes that it’s economical and smart to rent a home away from home. 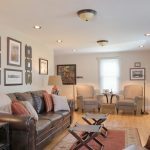 For those that are taking vacation in late summer, this turns out to be a perfect time of year to seek lodging in a Skaneateles vacation rental . Late summer works out great because the weather is still warm enough to participate in outdoor activities. However, vacationers get to enjoy more of the local flavor without competing with throngs of peak summer visitors. 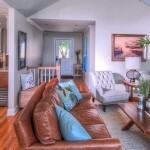 Staying in a vacation rental home allows you to feel a part of the local community. Skaneateles is one of the most charming places in the Finger Lakes region. Vacationers love strolling through town and browsing all of the specialty shops. Walk through quaint neighborhoods that seem like they’ve been plucked from pictures of old-fashion Americana. Anyone wishing to escape the rat race finds Skaneateles to be the perfect anecdote for the stresses of modern life. Come here only if you have a strong desire to kick back and spend days lazily lounging around like there isn’t a care in the world. While there enjoy eating at local restaurants and specialty food shops. Wine tasting is a popular local activity. Finger Lakes wines are abundant here so be sure to try as many as possible. Or, you may wish to go to the spa and get pampered before enjoying a magnificent Winemaker Dinner. Many visitors discover a new favorite and just have to take a bottle home. Other popular activities are boat cruises, star gazing and strolling along the shores of the lake at sunset. Experience local culture through the arts. The local theatre puts on fantastic Broadway plays that run all summer. This area is ripe with history, which is explored by visiting museums or taking a tour. Check our Fingerlakes Luxury Rentals listings for the best Skaneateles vacation homes to see what is available right now.